Because obesity can lead to a host of serious, even fatal, health problems – including heart disease, sleep apnea, clinical depression – both parents and medical professionals must act when a child or adolescent becomes overweight and sedentary. Recent statistics show that more than 40 percent of California’s ﬁfth-, seventh- and ninth-graders are overweight or obese. Obesity should be picked up by the primary care physician and the parents. Most parents are aware when their kids are overweight; parents should be concerned when kids aren’t physically active for at least one hour every day. Kids who spend long periods in front of screens, including televisions, cell phones, tablets and personal computers are often obese. Children who don’t sleep at least eight hours nightly tend to be more obese than their well-rested peers. A simple formula from letsgo.org sums up top recommendations for families who want to ﬁght obesity: The 5-2-1-0 Rule. Eat at least ﬁve servings of fruits and vegetables per day. Limit screen time to less than two hours. Spend at least one hour a day in physical activity. Drink zero sugary drinks, including energy drinks, sports drinks, or soda. Another suggestion is to not skip meals, watching portion sizes, limiting junk food, and minimizing the amount of eating out, as well as a minimum of eight to nine hours of sleep per night. Try to get the whole family to incorporate healthier eating habits into their routine, including exercise. 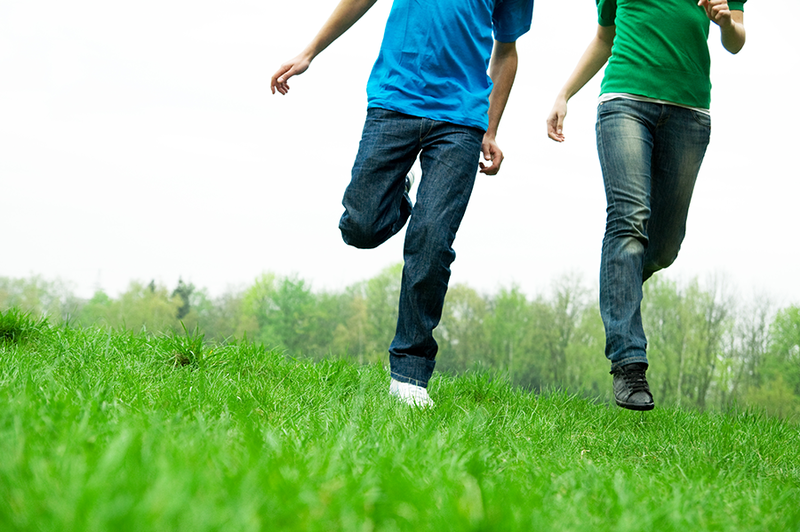 A half-hour or 45-minute walk beneﬁts the entire family.